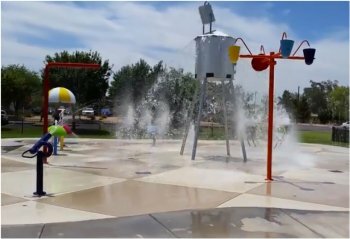 Over 4,000 square foot, the splash pad is located at Founders Park, across the street from Town Hall featuring various above ground water features. 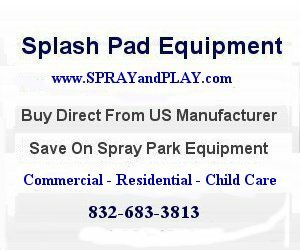 This entry was posted in Arizona and tagged Arizona, Founders Park, Queen Creek, splash pad, splash park, spray grounds, spray park. Bookmark the permalink.